The original Marius® © motif was designed by Unn Søiland in Norway in 1953, and it is protected by copyright. Since my first Norwegian hot water bottle cover was born in December, they’ve been selling as fast as I can knit them – clearly a winning formula. Now you can knit your own! 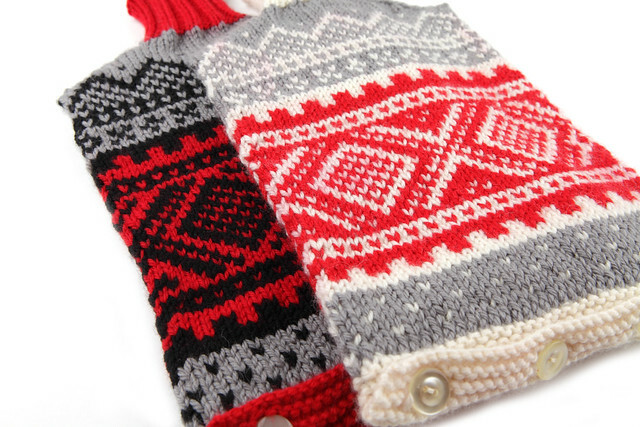 The Nordic ski sweater hot water bottle cover pattern is available as a PDF download from Ravelry for £2.50. 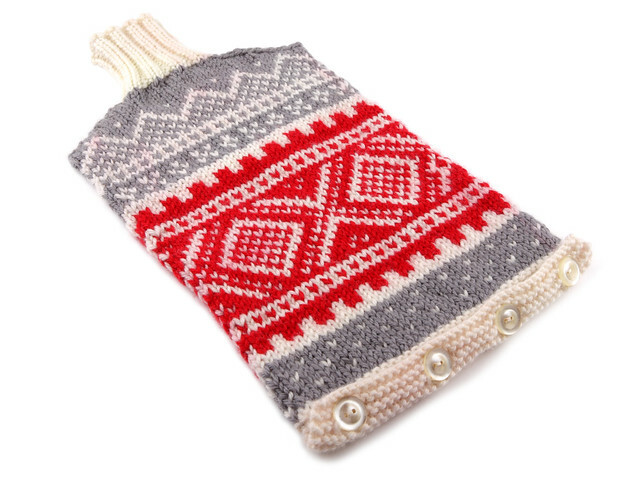 Nordic ski sweater hot water bottle cover knitting pattern, £2.50. The original Marius® © motif was designed by Unn Søiland in Norway in 1953, and it is protected by copyright. Norway is one of my favourites countries to visit and I love all things Norwegian (well not everything, I’m not keen on brown cheese, whale meat or the oil industry). This was a perfect opportunity to try out Nordic stranded patterns. 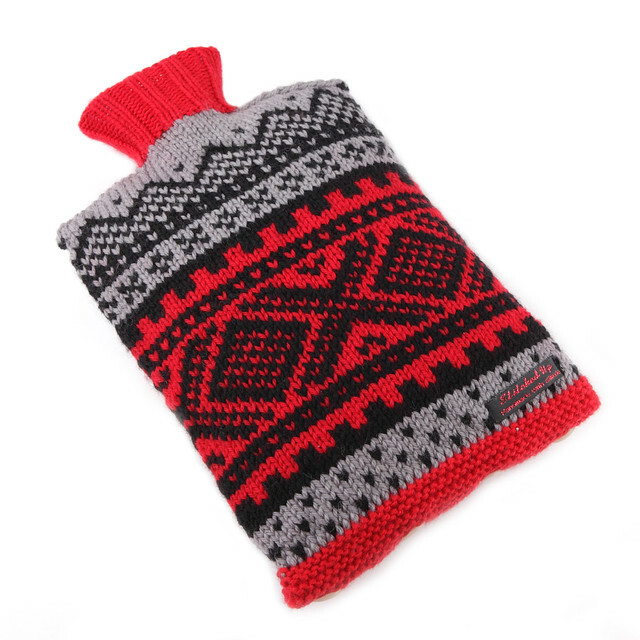 Stranded work creates a more dense, structured and better insulating fabric, ideal for a hot water bottle cover. This design is inspired by ‘Marius’ sweaters, the attire of choice in Norwegian ski brochures in the 70s. The suggested yarn, Cascade 220, is hard to find in the UK but Get Knitted stock it with free UK delivery. It’s a great choice for colour-work because it’s affordable and comes in a myriad of colours. It can be substituted any light aran yarn – I have also used Debbie Bliss Merino Aran and King Cole Merino Aran with this pattern. If you’d rather pick up the finished article, there is one left in the shop. I don’t expect it to hang around long and this is the last one for a while. It’s time for me to move on to other projects. Hand knit hot water bottle cover, £30. The original Marius® © motif was designed by Unn Søiland in Norway in 1953, and it is protected by copyright.